Without question this is the Ford of all Fords! The King of Kings or the Queen of Queens! 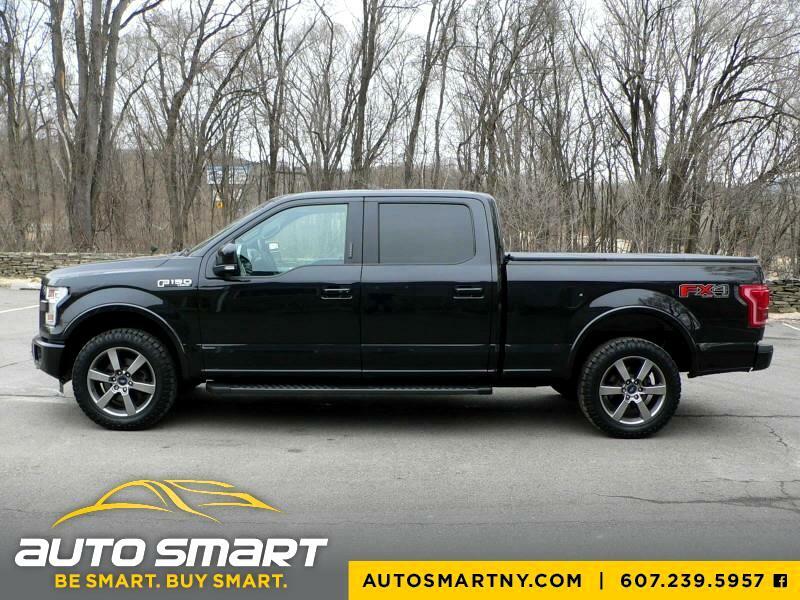 Take a fine look at this 2015 Ford F150 Crew Cab Lariat Sport with absolutely every option imaginable! Featuring a gloss black exterior complimented by a black leather interior and fully stuffed with everything you could want in a truck! Factory power sunroof, factory navigation, dual power heated & cooled front seats, heated rear seats, premium sound with media center, power rear sliding window, factory panoramic sunroof, bed liner with hard tri-fold tonneau cover, premium 20" sport wheels and so much more! Professionally detailed inside and out this F150 is as flawless as they come! A non-smoker with no damage, stains or foul odors on the interior. The exterior is equally as clean with no dings, dents, scratches or damage of any kind! It runs and drives smooth with no issues and it is oh so powerful with that 5.0L V8 engine under the hood! This is one sweet truck for one sweet price! Read what others say about us on Facebook and take the trip to see us so you can win in a big way! "Be Smart -N- Buy Smart" at Auto Smart, LLC! THIS VEHICLE HAS THE REMAINDER OF THE 5YR / 60K POWER TRAIN WARRANTY!